PRIME HOLLYWOOD INVESTMENT PROPERTY! 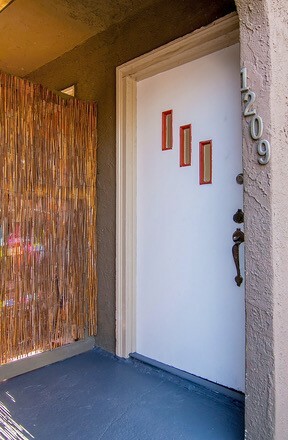 Centrally located in the heart of the Hollywood Media Arts District, this great opportunity (Triplex) features three, one bedroom + one bath units. All units are tenant occupied. One unit has been recently renovated. This unit boasts an open floor plan, updated kitchen, new double paned windows & flooring, freshly painted and ready for immediate move in. Perfect for an investor, this charming property has tons of upside potential with 2 units side by side and one detached in the back. Located near all the Hollywood studios, gyms, public transportation, entertainment (Hollywood + Highland; Hollywood Bowl) and first class dining (Salt's Cure, Mozza, Trois Mec, Petit Trois). PLEASE DO NOT DISTURB TENANTS.